This currency strength is extremely useful. It gives me main direction in trading and saves me 10min of analysis per pair. I'm able to see all currencies on one chart so I can pick and choose exactly which pairs will yield me the best results for the week. Thank you! 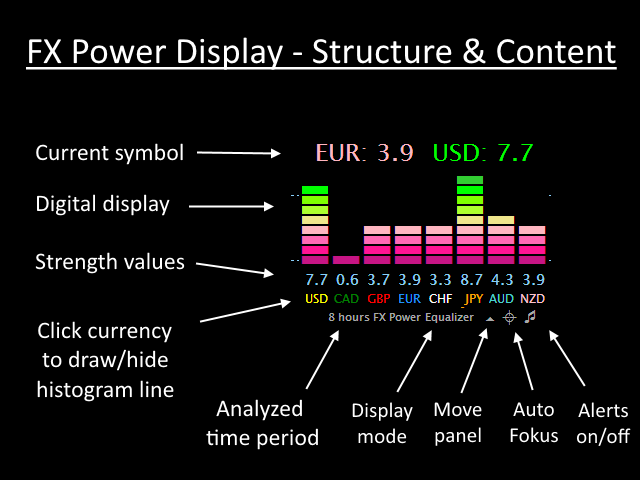 FX Power is a great trading tool if you take time to master how it works. Together with FX Trend and Lighthouse you will most likely profit from the market on a consistent basis. This indicator helps me to decide on the trade to take and when to take it, and it gives you timely signals to exit a trade when situation changes or it lets you know if you should just ride the trend. I use it as a powerful filter to avoid trading wrong signals. Then Daniel is very professional in the way he handles all questions. Five stars for his great effort. One of top 2 strength strengths indicators on mql5 (the other good one is Bernhard´s of course). Bought both. One question. 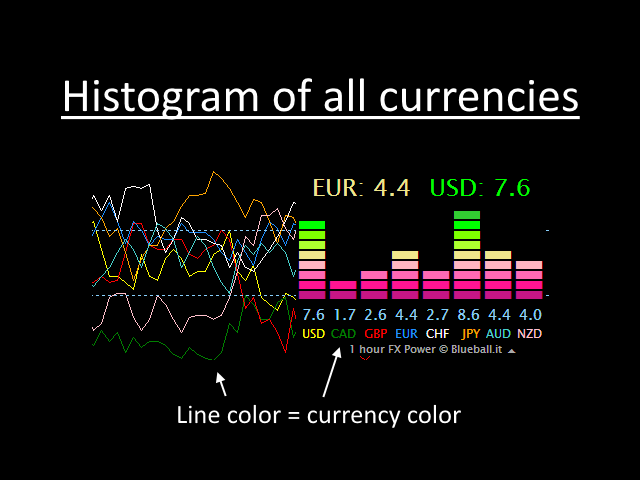 What is that dotted line that changes colour inbetween 2 currency lines? How to interprete it? I am not a professional trader, I know Forex trading in the last 2 years. And I do it on the sidelines of office work. So often I miss the profit and even wrong in determining the market direction. So I suffered a lot of losses. Blueball System built by Daniel provides confidence in manual trading. Where, before I use FX Power, FX Trends, Lighthouse and Powerplay Trade Manager as an indicator and device work, I am very difficult to get a satisfactory profit. Since I hired these tools, my account slowly started to greenen and gradually returned my previous losses. And also I am very grateful to Daniel, thanks to daniel, my funds are saved due to my mistake and my stupidity. The best indicator to pretend future trend. There are a lot of useful features to use the full version. Should buys all three indicators to work perfectly with Daniel trading system. Found some bugs but Daniel was there to fix. Product is solid now to work with. I really like this product the way it is design and the features it has to offers. This tool gives me extra confirmation i need to scalp better. Great SW & excellent support from Daniel. As with all SW purchases you hope the support will be at hand when you need it. I would not hesitate to purchase from this guy. Accurate and well thought out design. Well worth the money. The one single bad review is clearly from a person who doesnt know how to trade. Cause the only thing I can say is: BRILLIANT Indicator! I bought FX Power and am very satisfied with it. The investment has definitely paid off and would like to advise everyone. I bought it with FX TREND and Lightouse. Works great, look at Daniel Stein blog and his method. now im in the second week of testing this indicator along with FX Trend and Lighthouse, and just like what the author said, this is a really simple trading indicator to use and highly accurate one at that. a really recommended indicator. Thanks Daniel for this great indicator!! Much appreciated! It shows you where the action is and the power behind it. - FX Power, rightly named. Things would have been so much easier if I had this indicator many moons ago. Thanks Daniel - this is a game changer - certainly for me. 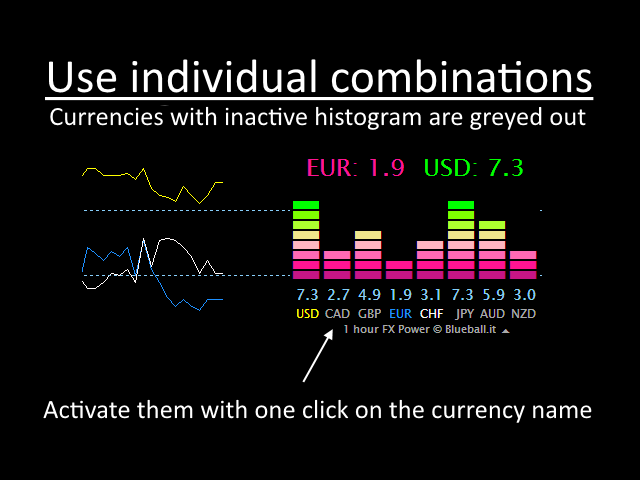 A really useful indicator to keep track of which currency is strong or weak. Definitely must buy. 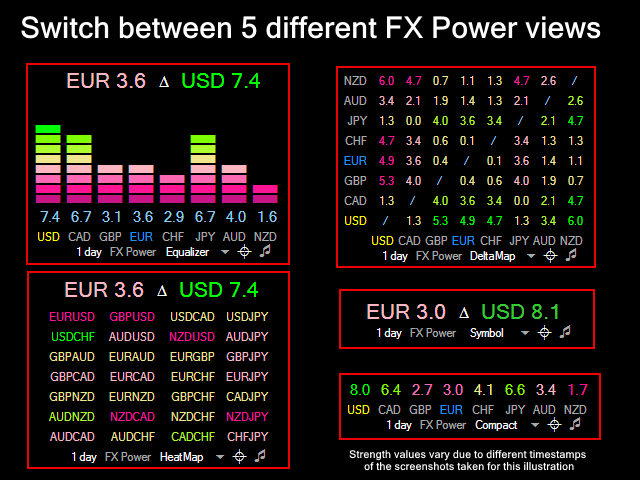 For the first time I used FX power and must say, the best indicator I have see so far in the whole internet. After I run the programm, I was immediately in the profit, because you can see in seconds how the market goes. I have successfully used Daniel's products Powerplay, Lighthouse and Analyzer Pro for over a year now so there was no chance I would miss to use his new indicators. 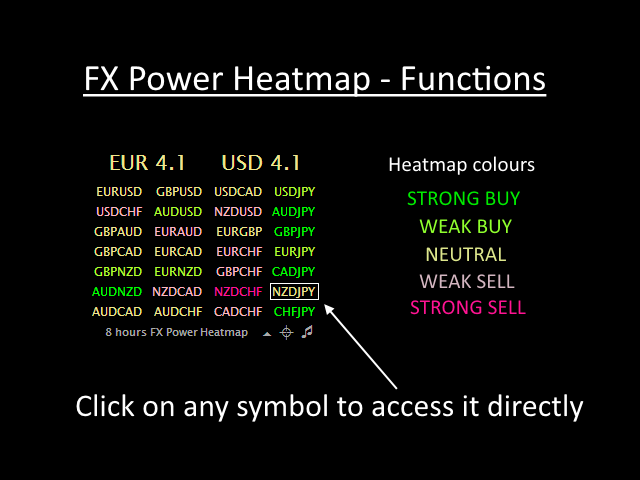 In my opinion, Fx Power and Fx Trend are the next level of professional trading tools- they give you a clear picture of the market, they are a pleasure to use, well designed, affordable and the most important-profitable. Very important as well is Daniel's unmatched customer relations. Honesty,integrity and efficiency are the words that come to my mind for any interaction I had with him. A huge Thank you for all your work! Few words: excellent indicator ! Good idea option period...for me this is what makes difference from other currency strength/power indicators. I use it in different way as explained by Daniel it means also is a very flexible tool, suitable for various usages strategies. 27/09/2016. This tool after weeks of using it, made my life so much easier, all daniel tool are amazing i recomended get the suite for have an understanding of his trading idea, but this one the precision of it take the cake for me, wich allow your trading style aswell to be more accurate. 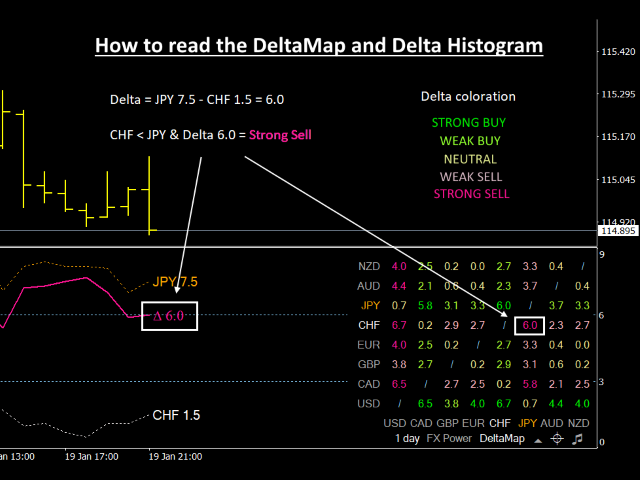 This is among the best indicators I have found and used along with the FX Trend which is amazing and the lighthouse. All 3 together are powerful and designed really well. Daniel is really a great help in answering my questions. I am renting 5 of his products currently for a 1 month test and will be purchasing them after my 30 days. Very affordable indicators for the superb quality. 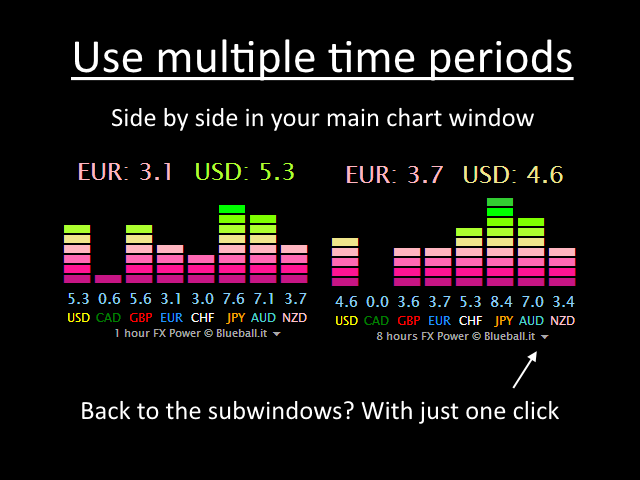 Currency Power... one of the best i bought... usage is very profitable and settings and alerts just pure fun to use. Also the support from Daniel is perfect. He helps all time and is open for wishes and changes...happy to find somebody to trust. Please update your copy always to the latest version to benefit from the latest product improvements. Autofocus detects change of an underlying symbol. 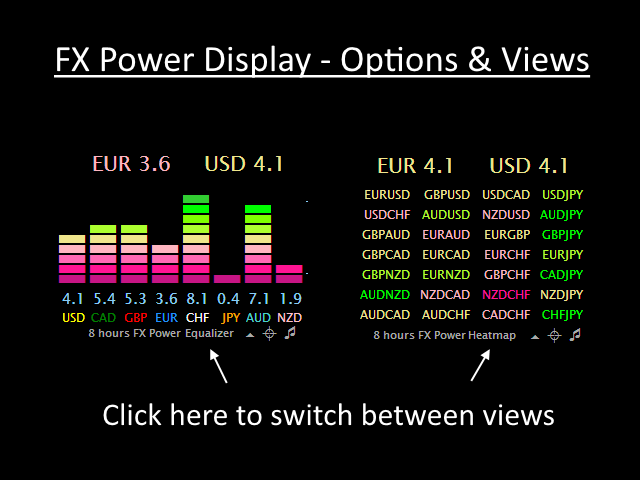 New button to switch FX Power panel between subwindow and main chart.